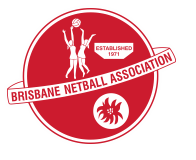 To our fabulous Kedron Lions Netball Club Inc. players – welcome to the 2018 BNA Winter season! KL maintain a Winter/Summer team selection format, where the core of each team is maintained from Winter to Summer season. Factors that can affect this are TIP selections, players not re-signing, injury etc. Team coaches complete a detailed season performance assessment, providing valuable feedback that is added to active play assessment and trialling performance, all of which is then compiled by the grading panel and Coaching Director. Adherence to the Kedron Lions Netball Club Inc. and Netball Australia codes of behavior. Taking all of the above into account, we will also try to meet parental and player requests where possible. If regarded as mature enough, some players may be selected in an age division above their age group. In addition to the factors listed above, when determining whether a player is suitable for such a selection, KL may also consider matching a player’s strengths and potential to a certain coach, and whether their court position will be better served in an older age division. Please also note that the preferred team member number is 8, 9 or 10 players per team, and this may be an additional necessary consideration. We aim to release teams with allocated coaches or managers listed where possible. Once 2018 Winter Season teams have been released, each team coach and manager will receive a player and (where applicable) parent contact and Medical information list. Expect contact soon after regards training times etc. Personal information is to be treated confidentially. It is expected that each player will notify the coach and manager in a timely manner of any inability to train or play. Each player has access to the draw via the BNA website, Mynetball App and via a link from WWW.KLNETBALL.COM and will be provided game details each week via email or text from the team manager. Training courts are allocated by BNA on a percentage preferential basis. This is a new concept, and we may need your patience while this new concept is streamlined. Training will most likely be of a Tuesday, Wednesday or Thursday night. This is by the coach’s request. All Go, Junior, Intermediate and coached senior teams are required to attend training. Again this winter season we have engaged weekly Wednesday shooter training sessions and a schedule will be disseminated before season start. Div 1 and 2 Senior will be able to access a fortnightly KL PT Intensive and fortnightly group training and specialist sessions each alternate Tuesday night – more detail will be forwarded to the players concerned directly. GO players cannot play up in Juniors, Inters or Divisions. They can play across the GO section if needed. All other players may play a fixture game for another Kedron Lions Saturday team, as per the rules of the association. Players may NOT play across the same division or a grade lower. A player can only play out of their own team on 2 occasions without penalty. The coach of the player being asked to play elsewhere should be contacted if possible and both the player and team manager MUST notify the KL Club Secretary of this ‘playing up’ event. We wish all the best for our Teams Selected this 2018 Winter season!